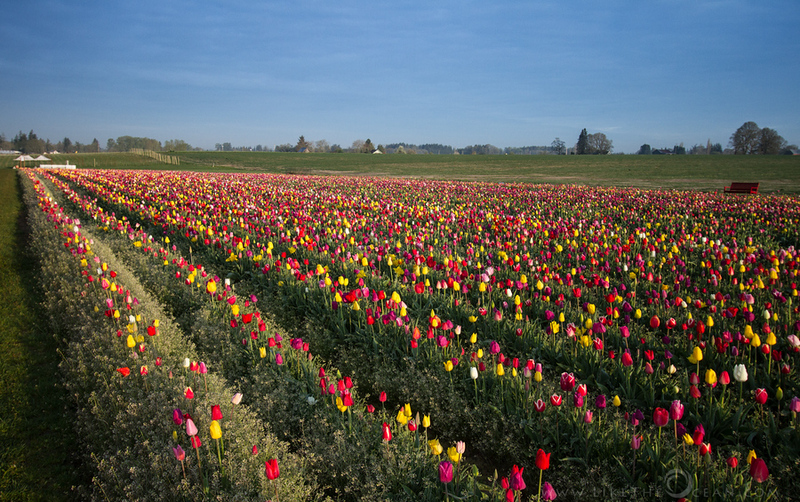 There is nothing like seeing acres and acres of beautiful tulips and daffodils in full bloom. 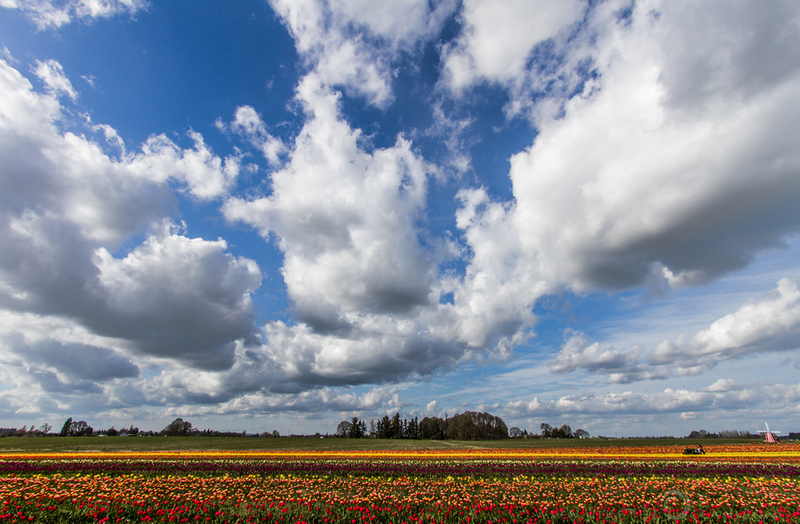 I got a chance to visit the place just once, last spring and was amazed at the colors & variations. 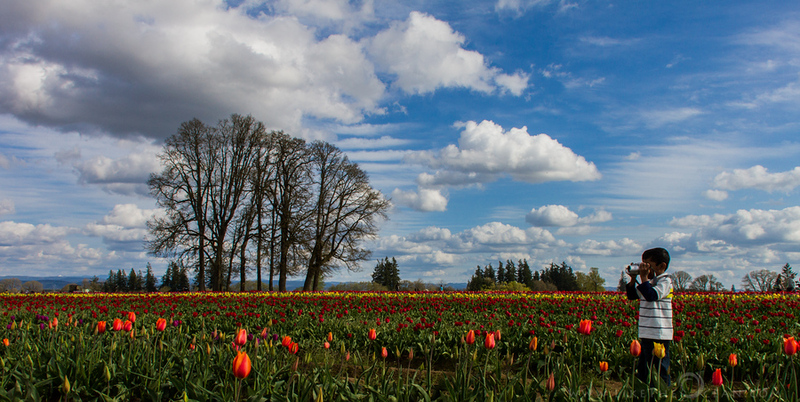 If you are around in the pacific north west, this is the place to be, to enjoy Spring in it’s full glory. P.S: No, I am not affiliated to Wooden Shoe, Just enjoyed my trip there last season and wanted to share the details about this gem of a place. 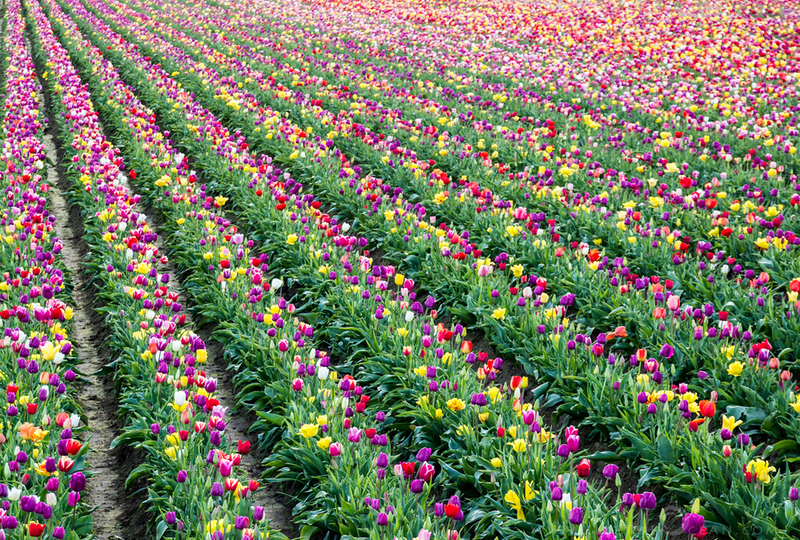 Wooden Shoe Tulip Farm is located near Woodburn, OR, yeah the one the hosts the better known Woodburn Factory Outlets. It is just over an hour drive from Portland. If you are not an early riser (like me), and would like to shoot during twilight, you can find accommodation at Woodburn. Places like Budget Inn are good enough to crash in and head out early in the morning. Closer to the highway, you can get slightly better options like Best Western etc. 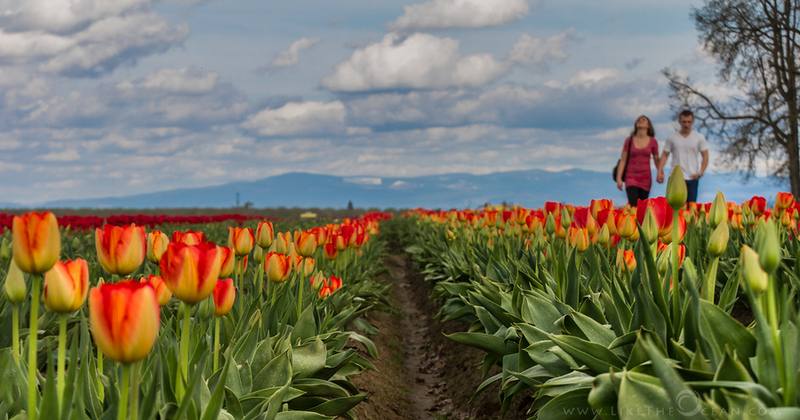 The Tulip Festival is during the Apr – May of each year. The Wooden shoe website is quiet handy with up to date information. 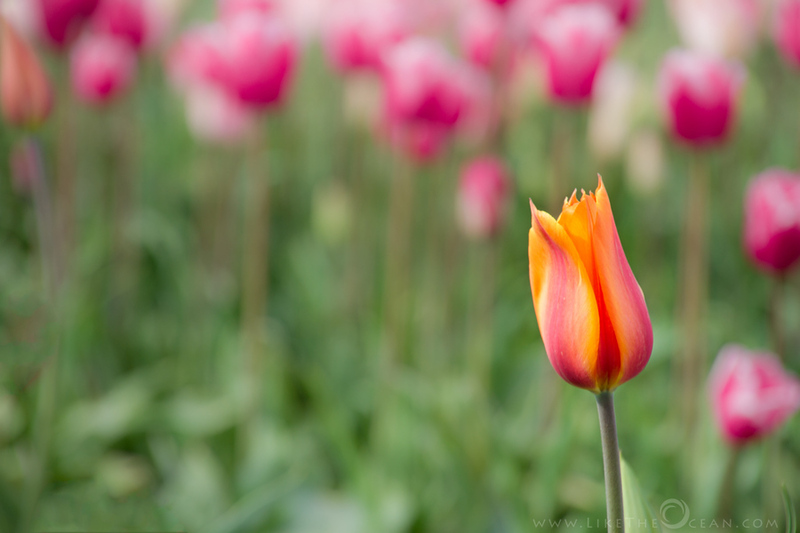 When ur spending time shooting the lovely tulips, there are other things to have your family / kids engaged like bouncy house, rock climbing wall, a swing ride, a zip line for adults, vendor’s booths to shop at, and a small taste of Fair food. You can read more about the festival activities at the Wooden Shoe site. 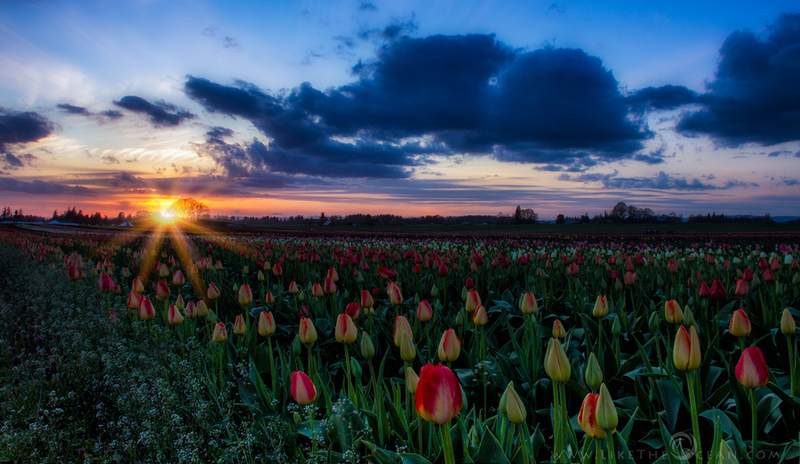 Cool breeze, Rows and rows of colorful tulips, Lovely clouds, The setting sun dotting the horizon, what else can a photographer ask for. It definitely is photographer’s heaven. 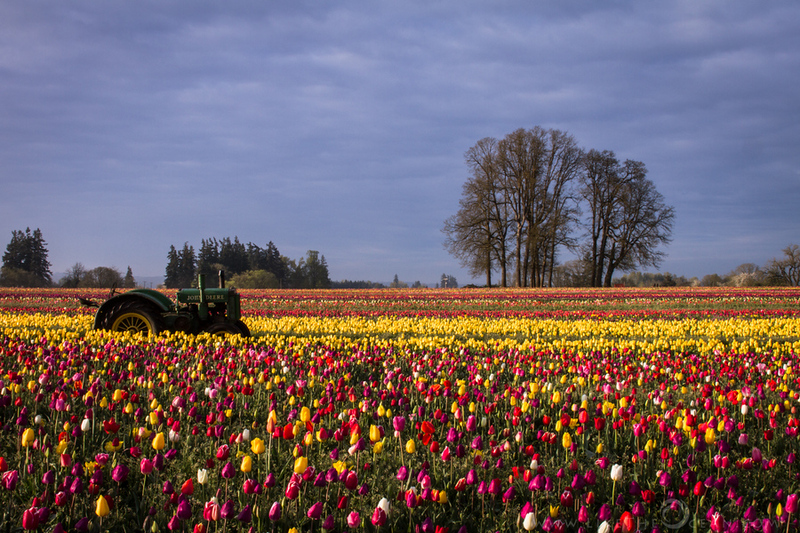 The best time of the year – April to May. The best time of the day around sun rise and sun set. Scout and Plan : Scouting the location is critical. Each year the directions of the farms are different, hence plan accordingly if you are heading there specifically to shoot. This becomes even more significant if you were planning to include a sun star or the distant Mt hood in your composition ! 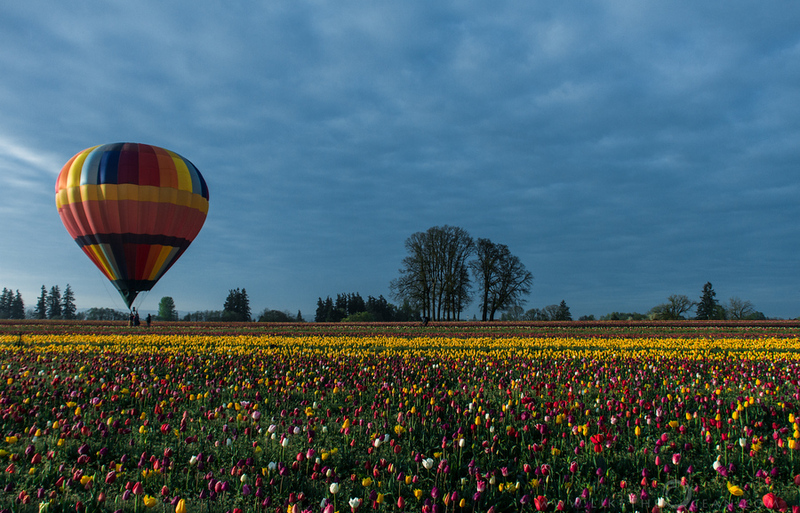 Hot Air Balloons : Make a good addition to the colorful tulips. 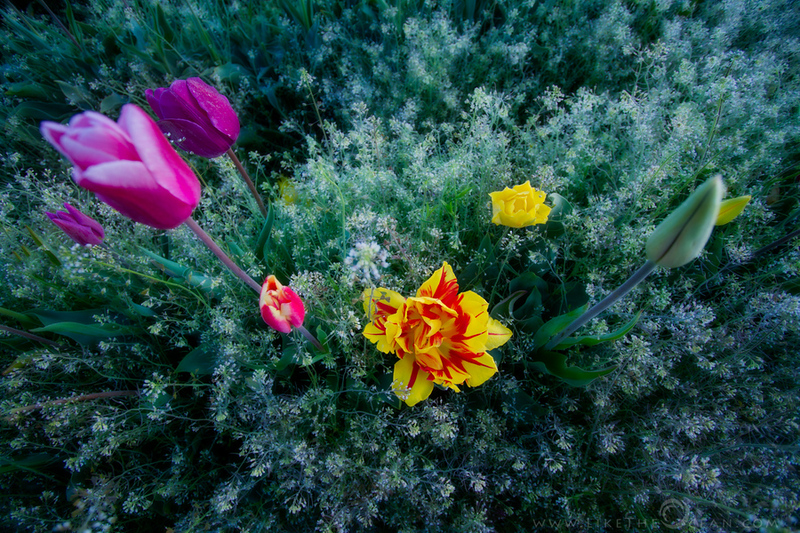 Do get early in the morning to get them in the composition. U could also plan to get a ride out in it. 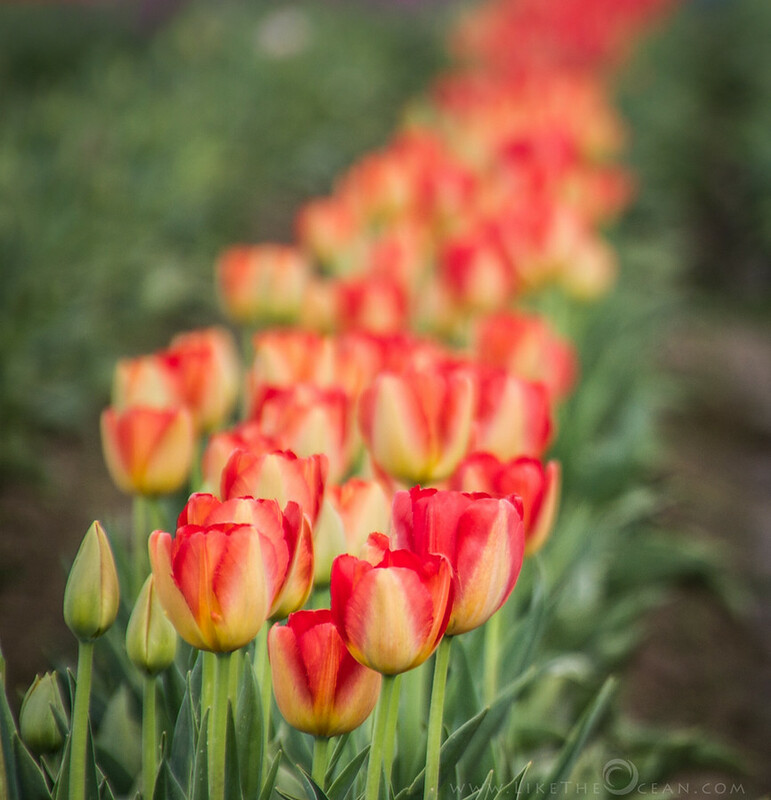 Each year there is also “Catch the color contest” hosted by Wooden shoe in collaboration with Pro Photo Supply. Do check this out if your are interested. 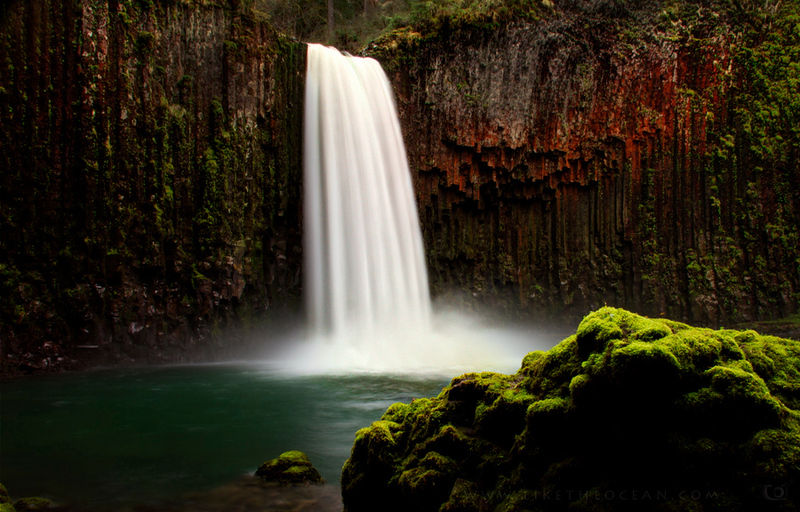 Bonus Tip : Feel free to extend the trip by including these lovely waterfalls – South / North Falls at Silver Falls state park and/or Abiqua Falls from Santiam State Forest to your itinerary. Here are some my favorite shots from my visit. Click here for the Full Gallery. Have fun, do share your photos from your visit in the comments below !!! 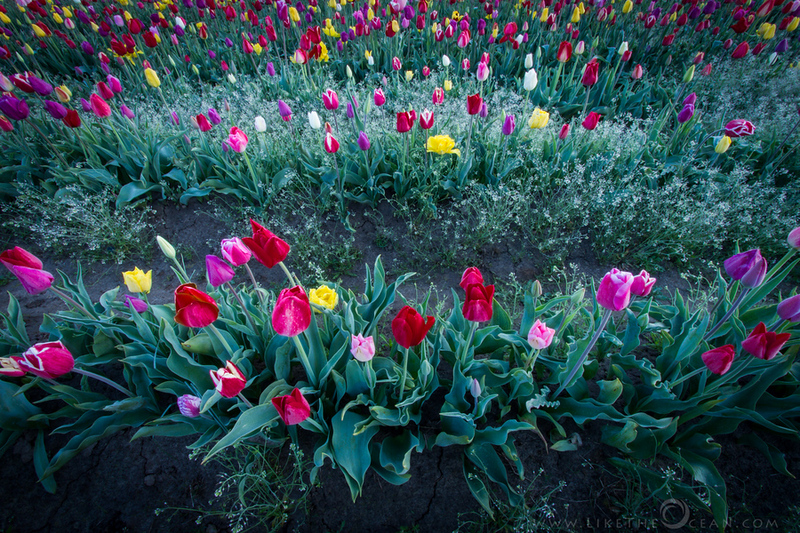 Happy Spring !!! Over the years of shooting, switching cameras, upgrading laptops, moving large chunks of data across hard drives – I have had my share of mistakes and data losses. In past, though different scenarios, I never had been successful in recovering any worth while data. It was either too late or probably most parts of the files were messed up, that recovery was not possible. 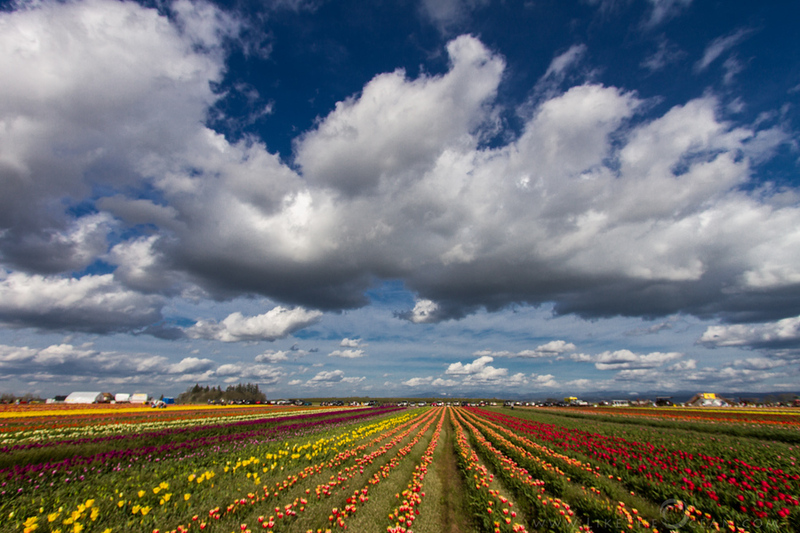 After that sunny day at woodenshoe Tulip farm, we hit the hotel room, at about 11 PM. I still had to sketch out a plan for the next day hiking, in the near by silver falls area. By the time I got out the plan / directions charted out, it was way past midnight. 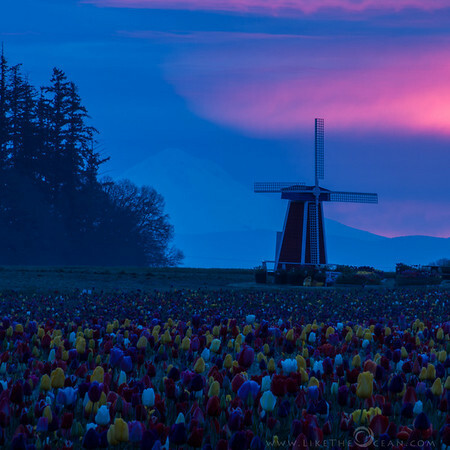 Having sneaked in a sunrise shoot for the morning at the Tulip fields, I was eager to hit the bed. Just then realized that my memory card (Compact Flash) was full from the day’s travel and I have not copied out the same. Connected my trusted canon 7D and started the automatic download. Not having patience to wait till it completed, I hit the bed. In the morning, when I was about to leave, was a bit frustrated to see that the program had aborted due to lack of space on laptop. Made some quick data moves to external Hard drive , restarted the copy operation, completed, wiped the card clean and was back on the road in no time. 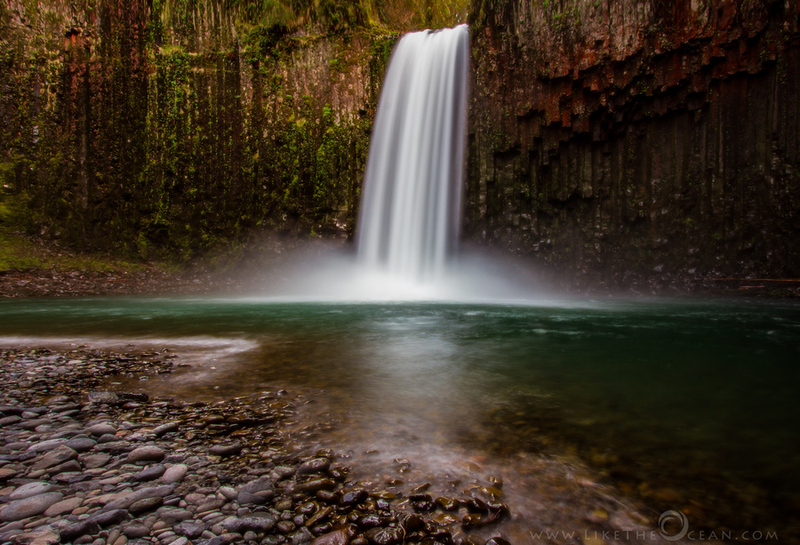 I went ahead with the morning shoot and also did the hike to Abiqua falls during the day. Little did I release that there was a set of 200+ shots that did not make it to the laptop from the memory card. When I was going thru to the shots later, I was shocked to realize that most of the sunset shots from the previous day was missing. Surprisingly, data does not truly get deleted, unless it is overwritten by something else (or if any explicit purge software is used). Not sure if I was plain lucky or the compact flash file structure is so organized, I was able to recover most of the those shots, if not all. May be if I had shot another 300 more shots, I doubt if I would have been any to recover anything at all from the previous day. Give it a few seconds. With Deep Scan not enabled it took just a little over 10 seconds for a 32 GB drive, not bad ! Switching to the Advanced view provides more details on the files. The time stamp details are especially very handy to identify the files to be recovered. Prevention is better than Cure – one can’t beat the age-old adage. Plan you trip beforehand – clean up the memory card as soon you copy to the system and validate, clean your filters, get your cables, charge your batteries, print you directions, set your alarms. Rushing out for a shoot increases the probability of the mistakes – and mistakes resulting in loss of precious shots are bad. Don’t fret when you realize that you have lost data. Especially if you are in the field, don’t loose your cool and miss out on new opportunities. If nothing worked out – yeah it is was a precious memory – but you and the experience that you had when creating those shots far out weigh them. Just go out, shoot again.